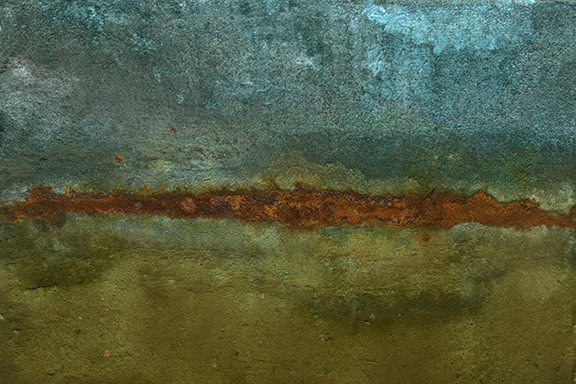 Colors are captured as metals corrode . . . . 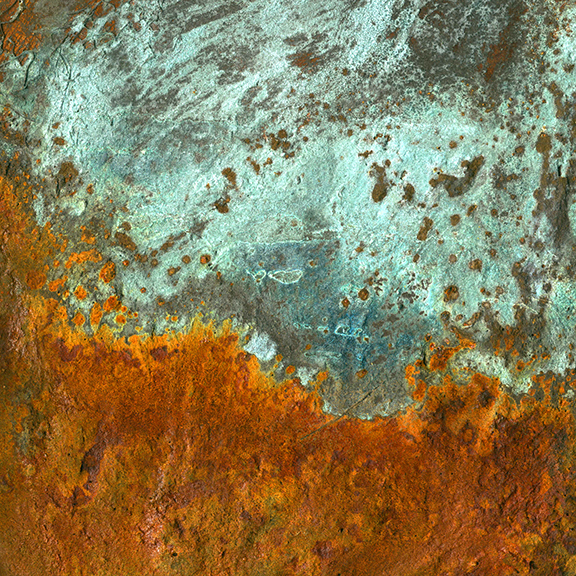 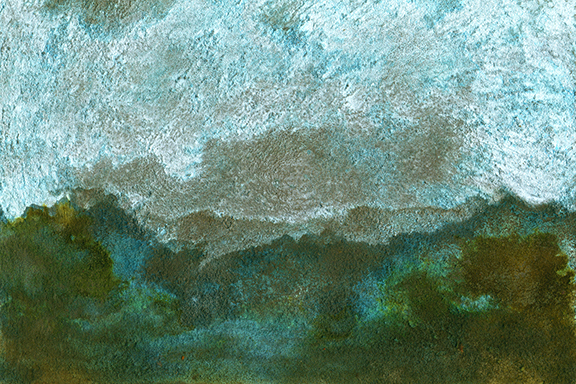 Using simple chemistry, raw metals and patina to create colorful abstract paintings.